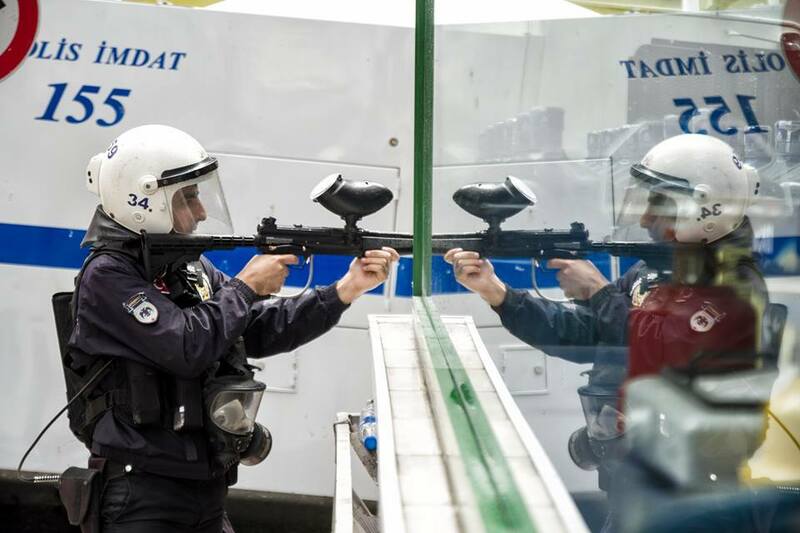 In the last weeks, Turkey has witnessed a rising trend of political strife that started with the arrest of dozens of people by the prosecutors due to allegations of corruption and bribery. The interrogation revealed an illicit chain of bribery and close relations between government officials and prominent businessmen. While many foreign commentators are ready to view the operation as a backlash of democratic forces against the rising dictatorial tendencies of the Prime Minister Tayyip Erdoğan, we argue that Turkey is going through a clash of two big Islamist fractions which has been in grand alliance until 2010 inside the ruling Justice and Development Party (AKP). In this regard, the outcome of this fight, let as it is, will not be the democratizations of the country’s political system. The outcome without the effect of the working class political organizations will point to the political economic dominance of one of the fractions. In this article, we will lay down the characteristics of the two opposing poles, analyze the current crisis as a result of their different political economic strategies and summarize the recent developments. To understand this, one needs to understand the various different patterns of political economic positions of each group. We argue for the primacy of this factor as defining the political positions of the two groups. Gülen Movement has organized itself as a group with political and economic relations in Central Asian, Middle Eastern and African countries. Their method of expansion in these regions is reminiscent of the 19th century colonialism with missionary schools and devoted Turkish teachers to disseminate a Calvinist version of Islam and Turkish culture. Through their missionary activities, they have formed local political alliances in those countries and utilized those networks for their trade relations in those countries. As Gülen movement embedded itself in networks of international trade, it has always remained acquiescent of the imperialist arrangements that affect the social setting in which they operate. Hence, they have always been against any arrangements that challenge the geo-politics of Israel-USA camp in the Middle East and Africa. On the other hand, the AKP camp, represented by mostly the business association MUSIAD-Independent Industrialists and Businessmen’s Association and a handful of capitalists from TUSIAD in the business world, is hardly a national bourgeoisie group. Their strategy has manifested a certain contradiction with contending imperialist arrangements in the region which we will touch upon below. AKP adopted an accumulation strategy that demands the growing of the domestic purchasing power for the realization of the housing stock. This strategy demanded low interest rates and powerful national currency since the construction sector depends on imports and low interest rates are vital for the steady flow of credits. Umit Akçay argues that the construction-based macro economic policy challenged the possibility of the persistence of the political coalition of the two groups as Turkish economy was hit by 7% contraction in 2009 due to the global economic crisis . In other words, AKP’s import-based development became an impediment for the export based accumulation strategy of the Gülen group. While we argue that this difference comprises the leading economic basis of the dismantling of the political coalition, there is one area which further challenged the coalition. 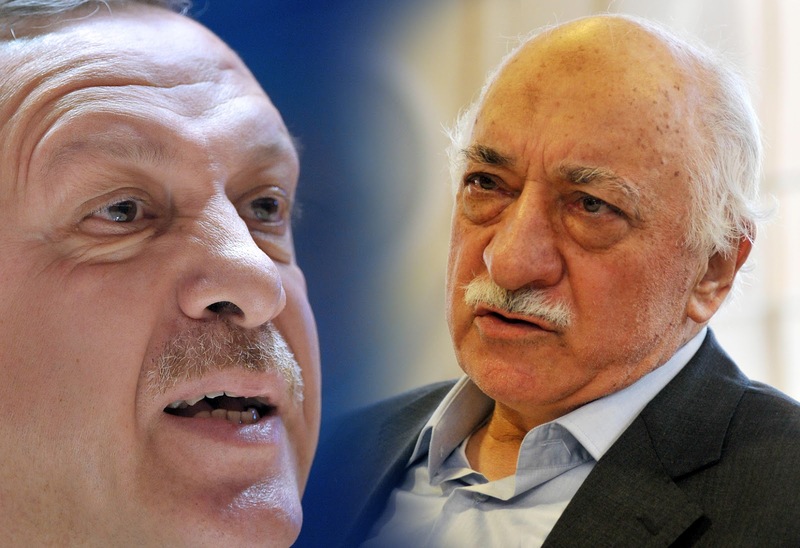 AKP’s neo-ottomanist imperialist foreign policy, which has certain contradictions with the project of the NATO camp in the Middle East and Northern Africa, aggravated the relation between Erdoğan and Gülen. The first open clash took place in 2010 when the Israeli army killed 10 people in a Turkish fleet, Mavi Marmara, while going to Gaza. Fethullah Gülen openly criticized Tayyip Erdogan’s backing of the Gaza Mission and freezing of the diplomatic relations with Israel. After the social uprisings in North Africa and Middle East, AKP initiated an interventionist foreign policy in the region and Erdoğan openly supported the Muslim Brothers in Tunisia and Egypt, sometimes publicly condemning the policies of Israel and the US. The fact that MUSIAD and AKP participated in the formation of the Muslim Brothers’ business association in Egypt  demonstrates why, after the military coup d’état in Egypt, Erdoğan literally cried in front of the press. However, AKP’s neo-ottomanist policy also overrode the Gülen Movement’s local alliances in the region which was established in tandem with Israel and the US projects. Therefore, it caused a clear condemnation of the leader of the Gülen movement in many instances. This opposition may also be seen as the area in which the Gülen movement and Israel-USA group finds their common interest in removing AKP from power. In addition to this, the Gezi uprising in June showed that Erdoğan was not able to govern the country anymore. His political power and legitimacy diminished drastically after the uprising. Erdoğan’s answer to this loss of legitimacy was to radicalize in order to consolidate its base in a smaller scale. His radical Islamist discourse accelerated to a degree that it raised doubts among his former supporters while Gülen pretended to support the protests, leaving Erdoğan at the target zone. Erdoğan answered by a campaign against private tutoring centers, one of the main sources of Gülen movement to recruit new members to the movement. And this dramatic move has lead to the initiation of an all out political war between the two fractions. On December 16th, Hakan Şükür, a well-known ex-football player, member of Gülen movement and an AKP deputy, resigned from AKP due to this conflict. This resignation may be considered as a kick-off for the battle, the highlights of which we try to list below. 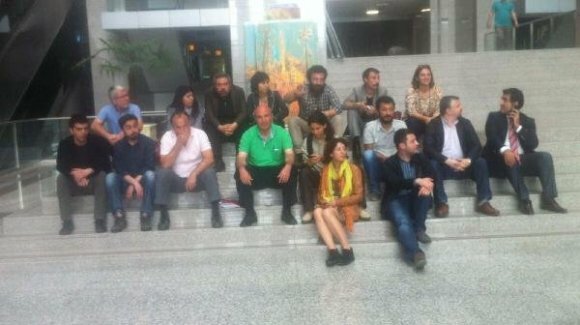 * December 17th welcomed an extensive “corruption” operation, in which a total of 49 people were detained, including the sons of three ministers (the Minister of Internal Affairs, the Minister of Economy and the Minister of Environment), advisors of four ministries, the construction billionaire Ali Ağaoğlu, the CEO of state-owned Halkbank, a mayor and several business people. In the meanwhile, videos showing ministers accepting bribes were posted online. 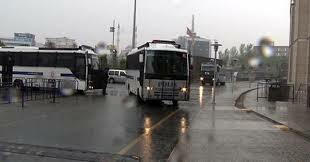 * First counter-attack from AKP came on December 18th, when eleven chiefs in the police department were dismissed. In the meanwhile, it was reported that a total of 4,5 million dollars were found in shoe boxes during the investigations in the house of the CEO of Halkbank. * On the following days, the Minister of EU Affairs was also included in the investigation, and many documents discovered in the investigations revealed that Tayyip Erdoğan himself gave finalizing orders for the involving trillions of Turkish Lira. * The second battle took place on December 25th. 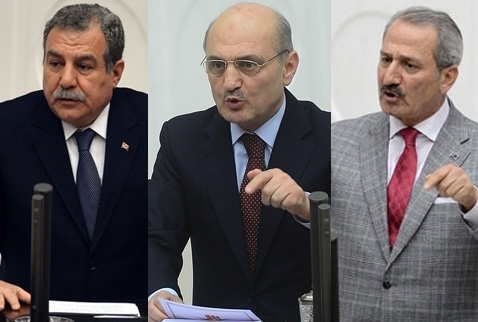 The three Ministers whose names were involved in the case resigned. Some 400 people in the police department were reallocated. It was reported that the Police Department was “resisting” to the orders of public prosecutors by not carrying out the demanded investigations, as the son of Tayyip Erdoğan was mentioned for the next operation. At the same time, Erdoğan made essential revisions in the government and substituted ten ministers. Moreover, the public prosecutor working on the second wave was taken out from the case. * Entering the second week of the crisis, more rats abandoned the sinking ship. Many more deputies resigned, many started criticizing the government (as if… well, anyway), and a huge counter-operation took place in the Police Department involving thousands of reallocations and investigations. In the meanwhile, a cautionary judgment was imposed on the belongings of seven important businessmen. 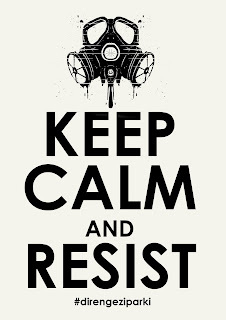 While this political war still continues as we write this article (December 30th, 2013), we want to emphasize that its basis is in the above-mentioned conflict of interests and its outcome will point to the political economic dominance of one of the fractions – unless the working class enters the stage, that is. The Middle East Technical University (METU) was founded in 1956 in an area of 4500 hectares. This huge region was said to consist of swamps and have a soil like white powder. The forestations were launched on 1961, when students, academics, Ankara citizens as well as some politicians participated in the festivals. 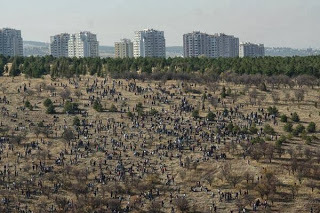 More than 31 million trees were planted, creating a vast green area in the steppes of Ankara. These trees were considered as an heritage of METU laborers and academics. The METU forest contains 10 million coniferous and 23 million broad-leaved drought-tolerant trees, including black pine, yellow pine, taurus cedar, oak, poplar and almond trees. The forest encompasses a region of 3100 hectares and was declared a Natural and Archaeological Conservation Site in 1995 by the Ministry of Culture. According to the website of METU Forestation and Environment Directory, the forest accommodates 100 species under the threat of extinction in the Middle Anatolian flora and fauna. This natural ecosystem is home to many wild animals (including wolves, foxes, partridges, rabbits, snakes and turtles), some 140 bird species as well as various fish and other marine species living in the lakes and lagoons. The presence of the forest created a micro-climate effect in the region, made the urban climate milder and put a barrier to unplanned urbanization in the south of Ankara city. The METU Forestation Project won the International Aga Khan Architecture Award (1995) and the TEMA Foundation award (2003). On the other hand, METU always had a strong left-wing tradition, witnessing the most impressive protests of the 60s and led many leftist movements. This tradition is still present as METU students take it as one the essential heritages of previous generations. 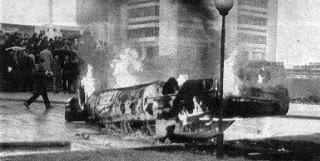 Just to name one, Hüseyin İnan, executed in 1972 with Deniz Gezmiş and Yusuf Aslan for political reasons, was one of the students who burnt the car of the US ambassador Komer, also known as the Vietnam Butcher, on January 6th, 1969, in METU campus. 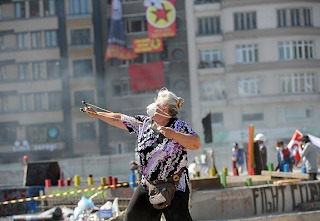 Because of its revolutionary stance, METU was always in the target of right-wing governments. 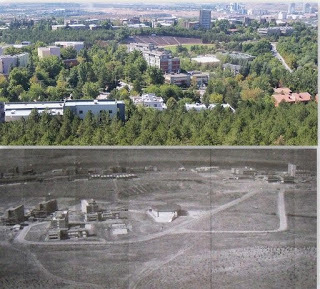 Issues such as the construction of highways through the campus and taking over METU’s land were used as political propaganda that has symbolic importance in the oppression of opposition movements. The highway construction in METU entered the nation’s agenda in 1992. This road was supposed to connect the Anadolu Boulevard to Konya Road. The project was approved in 1994 and was of course responded by massive student demonstrations. In addition, METU was declared a protected area in 1995. In 2008, the Metropolitan Municipality of Melih Gökçek (in power for 19 years, he is well-known for jumping to and fro right-wing parties that take part in the government in the given period) introduced a second road construction. This project initiated strong debate between the Municipality and METU. The Municipality claimed that the buildings of METU were illegal, and decided to destroy 45 buildings as well as to fine the university a total of 1,8 million TL. (approximately 600.000 Euros, or 900.00 USD) The issue was publicly known as “the road showdown”. The METU administration brought the project to trial. The court decided, in 45 different lawsuits, that the destructions or the fines had no legal grounds and that they were against public interest. Following the objections of the Metropolitan Municipality, a team consisting of two academics from the Urban Planning Department and five academics from the Civil Engineering Department started working on a new plan. This new plan was called a “Reconstruction Project for Protection”. According to this plan, the essentials of the first highway route of 1994 would be kept as they were, with many additional crossroads proposals. The plan further stated that, in order to avoid damaging the environment, the second highway should be constructed as a tunnel. Students, academics and laborers of METU think that this highway serves only for political and economic interests. As a matter of fact, if the intention was to relax the city traffic, the municipality should have finished the metro construction, which lasted for 11 years already. METU witnessed protests and forestation actions since years, opposing the destruction. METU students, together with the locals of 100. 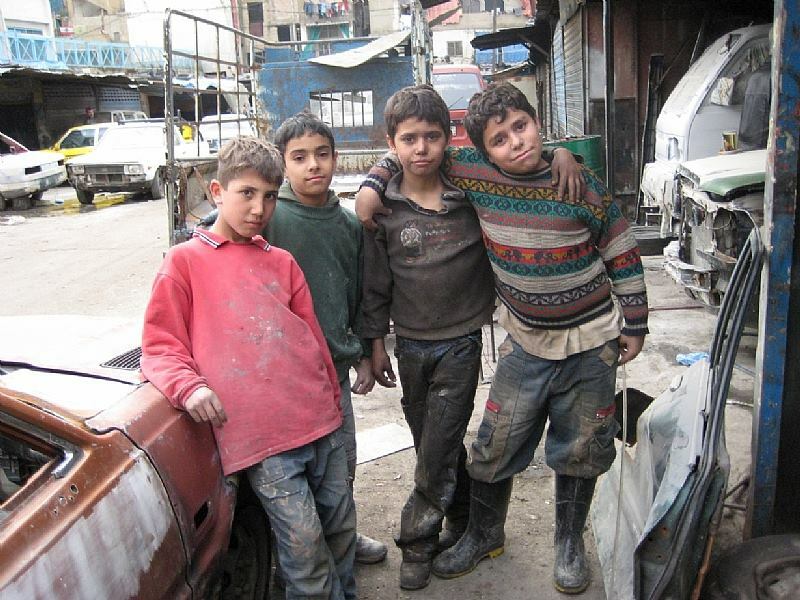 Yıl and Çiğdem neighborhoods organize protests, demonstrations, and, recently, camping in the site. 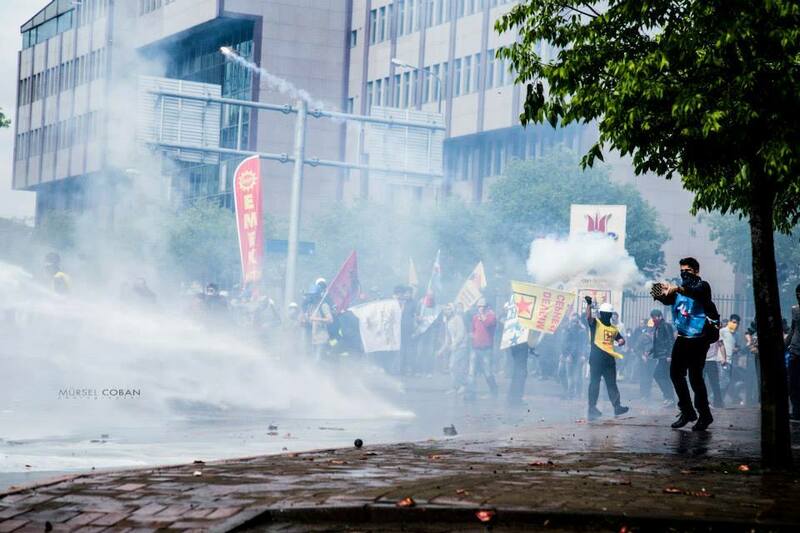 The municipality responded to the protests with police violence, including tear gas and rubber bullets. While METU administration tried all legal methods, the achievements in court were overruled in practice due to political interests. 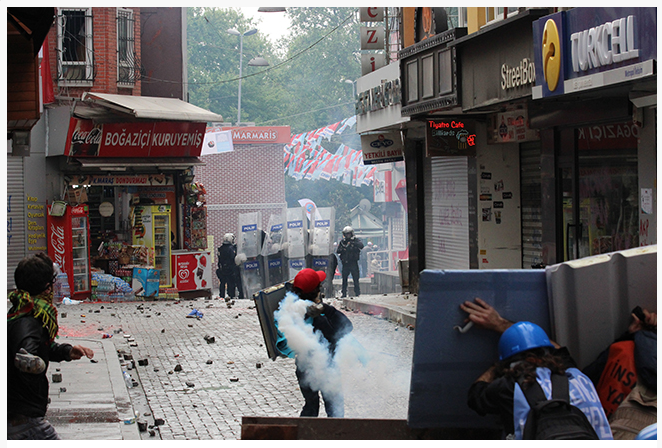 On October 18th, 2013, the last day of the religious holidays due to the Feast of Sacrifice, when the number of students inside the campus was in its minimum, the destruction workers entered the campus, accompanied with police forces. 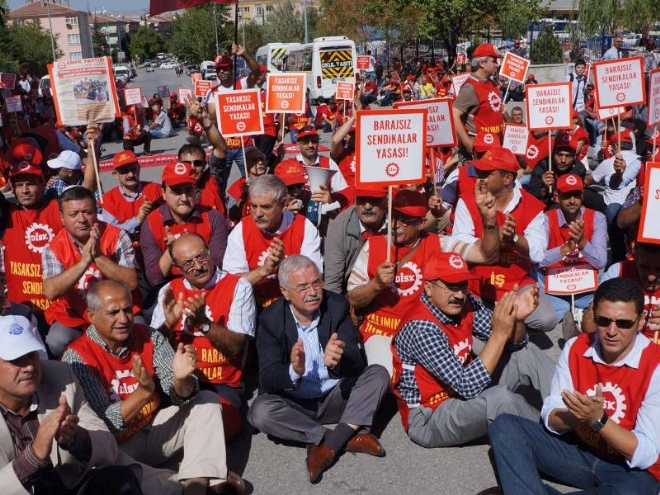 The next day, METU students, graduates and laborers united to protest the situation, and the neighbors from 100.Yıl and Çiğdem joined them in support. Police laid an ambush inside the forest, attacked the protesters with tear gas canisters and rubber bullets. While barricades were formed and police violence continued all night long, it was reported that policemen beat a student and threw him to the fire next to the barricades. The student is diagnosed to have second degree burns. “We communicated to the Ministry, Municipality and State authorities on September 11th, 2013, that we were planning to object to their plans, and emphasized that irreversible practices should be avoided in the meanwhile. Ankara Metropolitan Municipality’s (AMM) Director of Techical Works and Director of Construction Affairs stated that no action will be taken without discussing with the university administration. On the same day, a written appeal was sent to AMM to declare that we do not assent to any actions until the legal suspension and objection periods finalize. Despite of these meetings and correspondences, an abrupt night operation was executed on October 18th, 2013, without waiting for the suspension and objection periods to end. Construction machines, construction workers and many municipality employees intruded the university land on October 18th, 2013, Friday, at 21:15, without any permission, and by destroying the campus fences on the side of 100.Yıl district Öğretmenler Boulevard. Private security guards of the university tried to warn and stop the teams, as university land cannot be trespassed without permission from the administration. However, it turned impossible to prevent the numerous trucks, construction machines and municipality workers from entering the campus without permission. 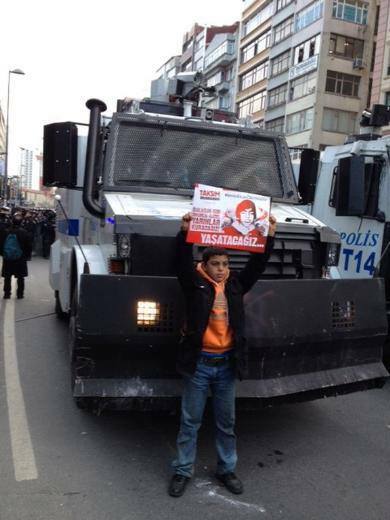 Melih Gökçek’s agenda is to incite provocation to consolidate his voters before local elections. 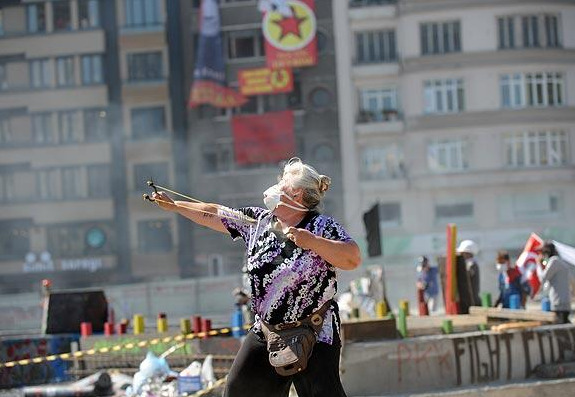 In a local level, he aims at the exact same goal as Tayyip Erdoğan did in Gezi Park. Moreover, this is a direct attack to the integrity of METU as a university as well as the values METU represents in the society. 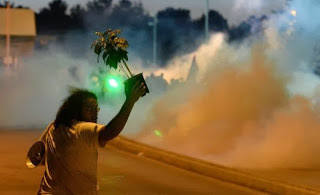 METU students are still in resistance, struggling for ecology, as is exemplified by the amazing tree planting action where more than 3000 trees were planted in the same area. Furthermore, hundreds of academics around the world released a statement, showing solidarity with the struggle and denouncing the policies of the municipality. As the motto goes: “There is only one road passing through METU, and that is the road to revolution”. Tayyip Erdoğan’s visit of METU in 2012 accompanied by 2000 policemen forces. He was protested by hundreds of students and police used so much tear gas that became visible even from far distant areas. The original of this article, titled “L’alchimie de la Mayonnaise”, was published in French in Rouge & Vert, the newspaper of Les Alternatifs, on July 11th, 2013. It was written on June 23rd. 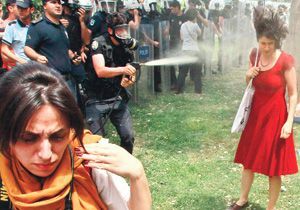 It starts with a camp to prevent the destruction of a public park in the middle of Istanbul which is attacked by the police. The number of protesters multiply, police attacks again. 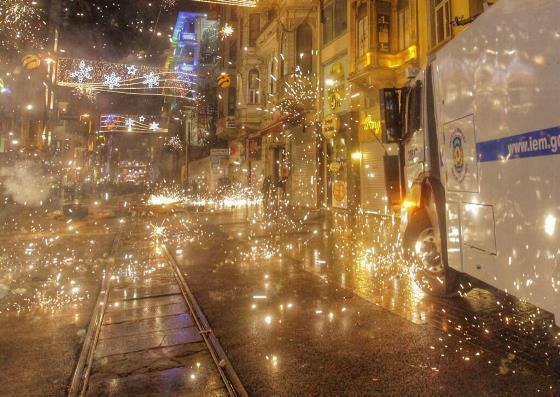 In a few days, one hundred thousand people are on the street, pushing police barricades at 2:00 am. In a few days, protests multiply once again; solidarity demonstrations are held in hundreds of towns. This article tries to give a partial answer to the above questions. It will be partial, because it will not include the real reasons behind people’s anger. It will not analyze the unlawful practices of the government that keeps thousands of political prisoners in jail waiting for their accusation documents to be prepared. It will not analyze the Kurdish issue, the Alawite issue or the Armenian issue. It will not analyze the imperialistic policies of the AKP government with respect to Syria. 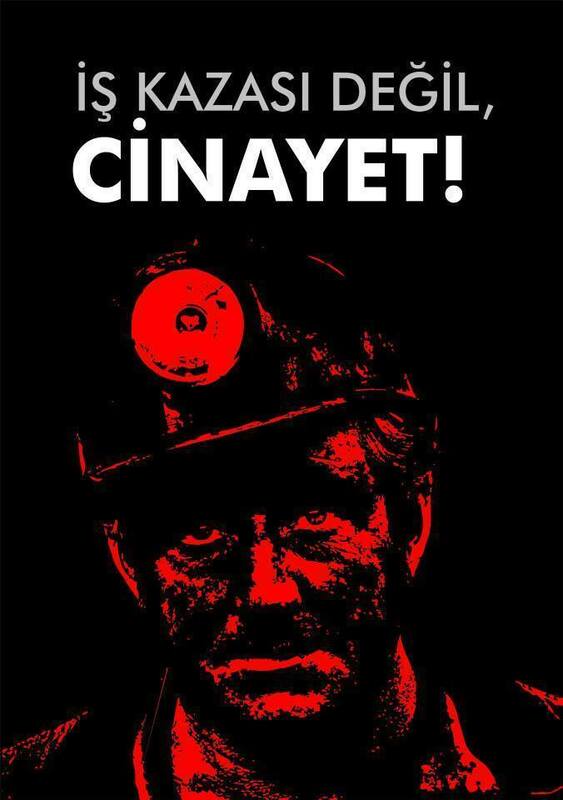 It will not analyze how AKP declared war on all ecosystems through an integrated strategy combining GMOs, coal power plants, hydroelectric dams, nuclear power plants and giant urban transformation projects. Neither will it analyze the Islamization of the society and of politics through an extensive transformation in the education system, through bans and restrictions on alcohol consumption, and through sexist and discriminative discourse against women and LGBT individuals. 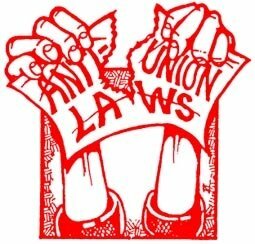 It will also not analyze the violations of labor rights, prohibitions on the 1stof May celebrations, the systematic introduction of precarious employment or privatizations. We exclude all the above mentioned items, because we think there is one essential point that could inspire the socialists and/or revolutionaries around the world. We will call it the mayonnaise phenomenon. Wikipedia states “mayonnaise is made by slowly adding oil to an egg yolk, while whisking vigorously to disperse the oil”. You should not add too much oil, because then you can spoil the mayonnaise. However, you should be very patient during whisking. It is very curious to note that the best mayonnaise is obtained by patient repetition of a single act: slowly add oil while whisking. As any experienced cook would testify, this is not the same as being stubborn. You are following a recipe, you are not just repeating a habit. Moreover, there is a clear way of realizing that you overdid it: it becomes butter, and a very bad quality of such. ause we published articles criticizing the government’s oppressive policies. We were detained while speaking out against the strong introduction of religious discourse in elementary schools. We were attacked by gas bombs while blocking the highway in the direction of coal power plant construction areas. 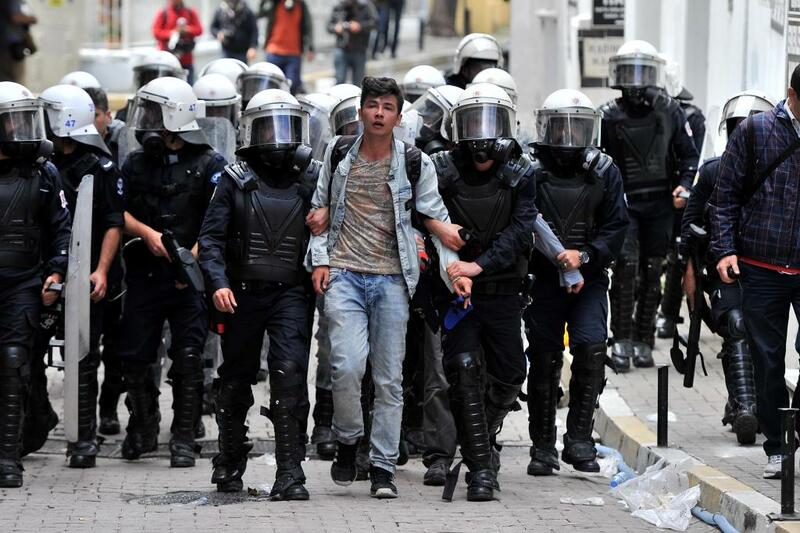 We were beaten by cops in our demonstrations against the government’s Syria policies. Socialists, communists, revolutionaries in Turkey were determined to fight for the emancipation of the society, to fight for a better world. We were always there, confronting the state apparatus in the shape of riot police and gas bombs, fighting for the rights of the people. Sometimes we were a few hundred people, sometimes thousands, sometimes hundreds of thousands. But mostly, hundreds. But guess what ! The initial campers were also some hundred people. They were attacked by the police the first day of the camp, but returned the next day. They were then attacked by the police again, but returned the next day, multiplying their numbers. They were then attacked by the police again, this time burning their tents and all their material. Then, something not expected by the rulers happened: Everyone came ! Hundreds of thousands arrived to a cloud of tear gas in Istanbul. Some 250 cities witnessed solidarity protests. 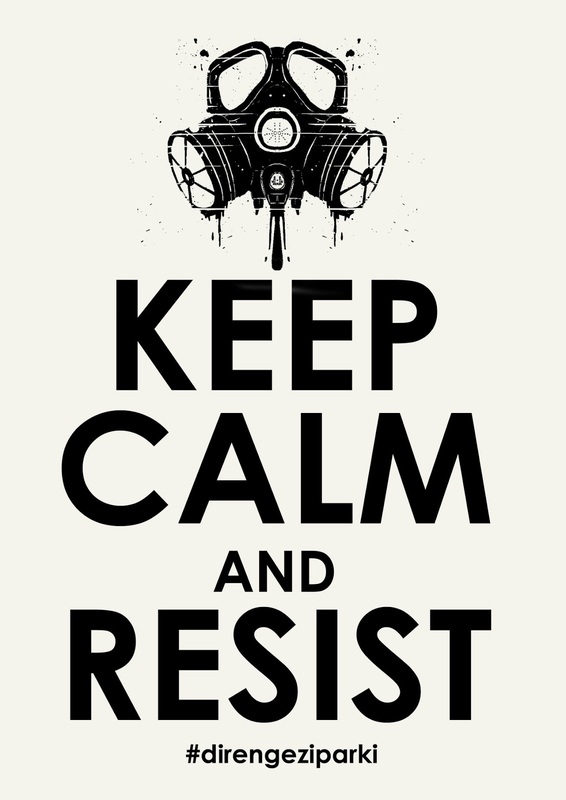 A fascist state that cannot comprehend people’s demands, that does not have the concept of negotiating with the opposition, declared war to its citizens. By June 21, Turkish Medical Association reported that 4 people lost their lives, 7836 got injured of which 60 are heavily injured, 101 had head traumas and 5 are in serious condition. 11 people lost their eyes and 1 person had his spleen taken. Add to this thousands of detentions and tens of arrests, continuing via police raids while this article is being written. Yet the country was shouting the slogan: “This is just the beginning. 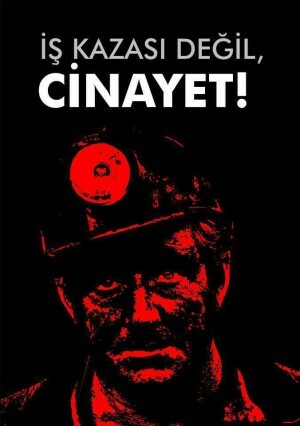 The struggle continues.” The Turkish society realized its power. We showed how revolutionaries are always on the front lines for the rights of the working class. On the other hand, we saw how the people was right behind us, providing anti-acid liquids for our eyes, providing shelter in their houses during police chases, shouting “Shoulder to shoulder against fascism !”, and spreading the word via photos and videos. It was the mayonnaise effect in action. The wavelengths matched, and we became millions. 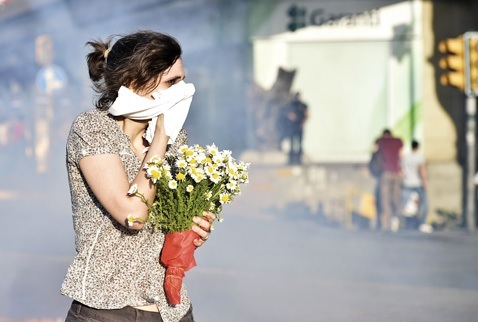 One may analyze the reasons, the dynamics and the consequences of the uprising in Turkey. One may try to figure out why the government never ever tried to soothe the protests, why the battle in Ankara still continues without a single day of cease fire since more than three weeks. One may indeed learn a lot about how fascism operates. But if there is only one thing our comrades in France would learn from the uprising in Turkey, it is the mayonnaise phenomenon. If there is only one thing our comrades in France would learn from the uprising in Turkey, it is the importance of political determination. 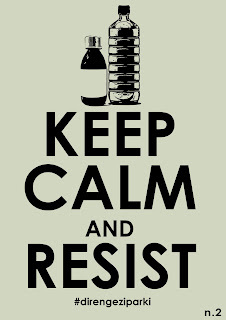 We were not as aware of it before the uprising as we are now. 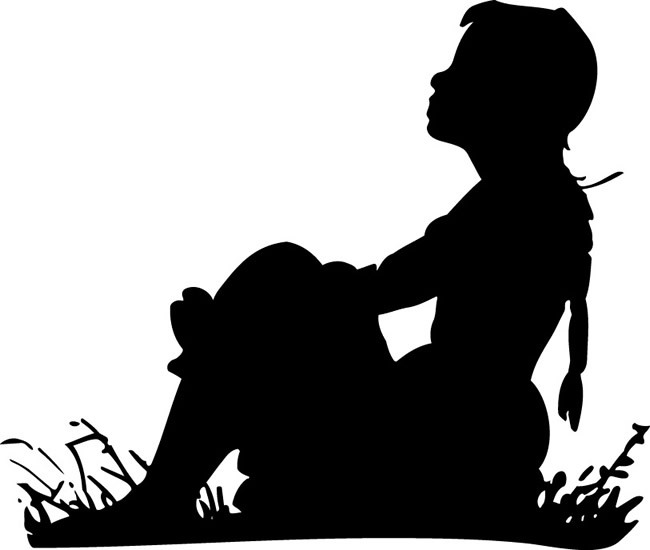 If there is only one moral of this story, it is the following: We shall never give in, we shall never give up !